On June 29-30, Astana hosted the High-Level OSCE Conference on Tolerance and Non-Discrimination, aimed to help in coping with obligations and promoting the OSCE values related to tolerance, non-discrimination and intercultural dialogue – the key priorities of Kazakhstan's chairmanship in 2010. Over 600 politicians and public figures from dozens of countries have discussed the value of legislative processes, law enforcement bodies, national education systems and mass media in combating public manifestations of intolerance and promoting the idea of mutual understanding through dialogue. The time and venue of the Conference were not occasional, but even symbolic. Kazakhstan is a multi-confessional and multinational state with its active role in ensuring international and regional safety and advancing the constructive West-East dialogue. Some even say about the Kazakhstan's unique chance to become an efficient mediator in the "dialogue of civilizations". 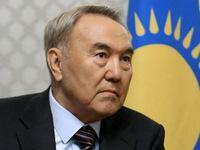 Achievements of Kazakh diplomacy are a valuable contribution. While chairing the OSCE in 2010, Kazakhstan continues developing its own creation – the Asian analogue of the OSCE – the Conference on Interaction and Confidence-Building Measures in Asia (CICA). As of today, the CICA – an international forum for strengthening cooperation and aimed at ensuring peace, safety and stability in Asia, – unites the Asian countries where 90 percent of the continent's population live. At the recent Third Summit of the CICA (June 6-9, 2010), the chairmanship passed over to Turkey for the forthcoming two years. In 2011-2012, Kazakhstan will chair another major organization that unites 57 countries of the world – the Organization of the Islamic Conference (OIC). Besides, even the agreement to set up the Eurasian Economic Community, which held its last important session in Astana on July 5 this year, was signed in the Kazakhstan capital 10 years ago. The High-Level OSCE Conference on Tolerance and Non-Discrimination is in harmony with the International Year of Rapprochement of Cultures, announced by the UNESCO since February 18, 2010. The draft resolution of this initiative was presented by Kazakhstan, supported by Armenia, Azerbaijan, Russia, Ukraine and Iran, and later unanimously approved by the 34th Session of the UNESCO General Conference. This was not the last Kazakhstan's initiative. During the OSCE Conference, Nursultan Nazarbayev moved an idea to set up the OSCE Centre on Tolerance and Non-Discrimination and an initiative to convoke a congress of leaders of world and traditional religions with the aim to strengthen dialogue, mutual understanding and cooperation of religions, cultures and civilizations. The first part of the OSCE Conference dealt with the struggle against discrimination of Moslems and anti-Semitism, as well as against racism, xenophobia and discrimination of Christians and adherents of other religions. The second part focused on methods for counteracting intolerance and discrimination on religious and ethnic grounds. The Astana Declaration fails to mention directly the ban to build minarets in Switzerland (and public debates to this end in a number of European states) and legislative initiatives to forbid wearing hijabs. It says about the resolute opposition to the attempts "to associate terrorism and extremism with Islam and Moslems," encouragement towards better awareness on intolerance of Moslems, and the protest "against anti-Moslem prejudices and stereotypes." However, both minarets and hijabs were mentioned by Adil Ahmetov, personal representative of the incumbent OSCE Chair on combating intolerance and discrimination of Moslems: "We are worried by legislative initiatives in Europe aimed at restricting the freedom to show one's religious adherence, namely, the ban to wear hijabs in public places, including streets, and prohibition to build minarets." Ömür Orhun, who represented the Organization of Islamic Conference, also criticized the legislative and administrative restrictions, which "exclusively touch on Moslems, like in the case with ban on minarets." As examples of Islam-phobic rhetoric in the political discourse, media and religious sphere, he mentioned, among other things, accusations of Moslems for their unwillingness to integrate into societies, where they live, and of Moslems' attempts to impose their values and culture. Among the European countries, Belgium was the first in its intention to ban wearing hijabs in its territory. In the end of April this year the lower chamber of its parliament approved the bill, which forbids women to appear in public places in the clothes that cover the face and prevent to identify the person. The infringers will be fined by 15-25 euros and/or put in custody for up to seven days. The Belgian legislators assert that hijabs may hide criminals, humiliate women and segregate the society. The bill bans hijabs practically in all public places, except for, say, the Halloween. The Belgian representative at the OSCE Conference also spoke about it: "While the religious freedom is under efficient protection in Belgium, we should also avoid restricting other human rights, such as the right to freedom of self-expression and gender equality." He added that in 1974 Islam was awarded a special status in Belgium, and since then it enjoys the same rights as other recognized religions. The Conference was crowned with the Astana Declaration, which called the OSCE member-states to observe their legal obligations with the aim to draft and enforce efficient political steps towards prevention and reaction to all manifestations of racism, xenophobia, anti-Semitism, discrimination and intolerance. In case of hosting the planned 2010 autumn OSCE summit, Kazakhstan will get a unique chance, provided its history of peaceful inter-communal and interethnic relations, to revive and actualize the OSCE efforts in the sphere of preventing and settling interethnic conflicts. As a whole, the history of Kazakhstan in the Soviet period assigned this republic with a special role in ethnic and demographic processes – it was here that essential populations of many ethnic groups had been deported. Kazakhstan should undoubtedly bring the challenge of preventing interethnic conflicts into the top echelon of the agenda at the OSCE summit because of its neighbour Kyrgyzstan, which quite recently faced bloody interethnic clashes. When the south of this country was captured by an unprecedented conflict, the attention of the world media was focused on the world football cup, and the regional powers, as well as western governments, proved unable to timely interfere and minimize the consequences of the flared-up conflict. In 2011, the Lithuanian Republic, notable for its rather high standards in defence of human rights, shall chair the OSCE. At the same time, this country also has its problems in the sphere of intercultural dialogue: its relations with the Polish national minority have recently been quite ambiguous. In early 2010, Thomas Hammarberg, Council of Europe's Commissioner on Human Rights, already addressed Andrius Kubilius in the context of writing Polish surnames in Lithuanian national passports and absence of bilingual topographical inscriptions. "The advisory committee of the Framework Convention [Framework Convention for the Protection of National Minorities, – note of the author] has concluded that in case of Lithuania the absence of bilingual public signs in certain localities is incompatible with the provisions of the Convention. There is a contradiction between the Law on State Language and the Law on National Minorities, which should be resolved," Mr Hammarberg wrote in his publication on the language rights of national minorities. Shortly before the communication of the Council of Europe's Commissioner on Human Rights with the Lithuanian government, a complaint against discrimination of Polish minority in Lithuania was received by José Manuel Barroso, head of the European Commission. "The Polish minority in Lithuania is discriminated. Poles are not allowed to speak their language in official establishments in the localities, where citizens of Polish origin make up to 80 percent of the population. They are also prohibited to name streets in their language. So you know about this state of affairs, and what should be done to reverse the situation?" asked Waldemar Tomaszewski (Waldemaras Tomashevskis), a European MP and activist of the Poles' Electoral Action in Lithuania in the fall of 2009. Other European MPs, representing Poland, also addressed the European Commission for similar explanations. In May 2010, the Association of Poles of Lithuania made a special statement on imposition of fines on citizens for speaking their mother tongue in public places. The document asserted that Lithuania was breaking its obligations under the Framework Convention of the Council of Europe for the Protection of National Minorities. "It should be regretfully ascertained that the Lithuanian Republic, where officials impose fines on citizens for use of their mother tongue, has become a unique precedent in the European Union; it is more and more often mentioned in this context at international forums, which compromises our state," the statement ran. The Association of Poles of Lithuania even opened a special bank account and asked non-indifferent citizens to send money for covering the fines imposed for using the Polish language in public places. Quite recently, the situation with the rights of the Polish minority in Lithuania has taken a sharper round. On July 6, the European Parliament passed a resolution calling Lithuania to respect the Union's legislation and asking the European Commission to initiate, if required, a special legal procedure against Lithuania. The point is that the special Lithuanian Commission on Ethics (an independent governmental body for supervising bureaucrats' behaviour), announced a "public reprimand" to the European MP Waldemar Tomaszewski by disagreeing with his statements on discrimination of the Polish minority in Lithuania. "This decision and the legislation of the Lithuanian Republic, on which it is based, are contradictory to the legislation of the European Union in the sphere of ensuring the principle of freedom and independence of the members of the European Parliament," the European MPs have ruled. From this viewpoint it may seem paradoxical that exactly Kazakhstan, with its lower rating in ensuring political rights and civil freedoms that Lithuania, may become a provider of the OSCE values related to tolerance, non-discrimination and intercultural dialogue. However, the history of interethnic and inter-confessional relations in Kazakhstan, its geographical position, its authority in promoting measures of regional and international safety and the favourable time period of its chairmanship in a number of organizations are providing quite a good chance. Kazakhstan also has a considerable Polish community (today about 40,000 persons, or 0.3 percent of the overall population). Its essential part appeared in the republic as a result of violent deportations by Stalin's regime in 1930-1940s, mainly from the territories of Western Ukraine and Western Belarus. In spite of the fact that during the 1959 census the Poles living in Kazakhstan were considered to be full-fledged citizens of the USSR, many of them received their passports only in 1960s and even 1970s. Poland is always reminding with gratitude the tolerance and humanism of Kazakhs, demonstrated towards exiled Poles. It results in today's especially warm relations between Warsaw and Astana, maintained at the presidential and other levels. The OSCE countries, including the most advanced west-European ones, are facing a number of new challenges related to efficient support of the intercultural dialogue, interethnic and inter-confessional accord. It is enough to recollect the recent problems in France, where the lower chamber of the parliament passed the prohibitive law on hijabs, while the upper should make its decision in September. More and more often the problems of inter-confessional and interethnic accord become topics of debates both in national parliaments and European institutions. Therefore, the responsibility of Kazakhstan – the incumbent OSCE chair – is to contribute to settling these debates through activation of the instruments and mechanisms available in the OSCE toolkit; as well as to offer new ones. The new challenges were not disregarded also at the informal meeting of the Ministers of Foreign Affairs of the OSCE member-states that took place on July 17 in Almaty.